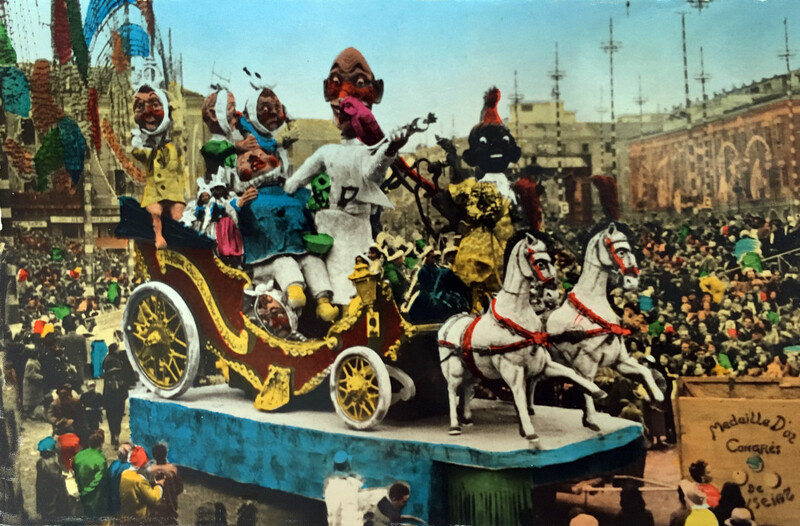 The carnival tradition goes back to the middle ages. 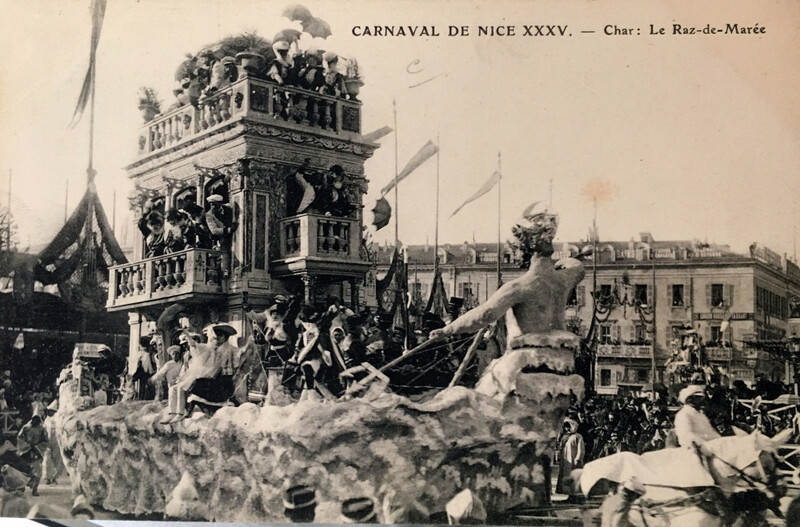 The most widely accepted etymology for the word "Carnival" is "carne levare" ("away with meat"). 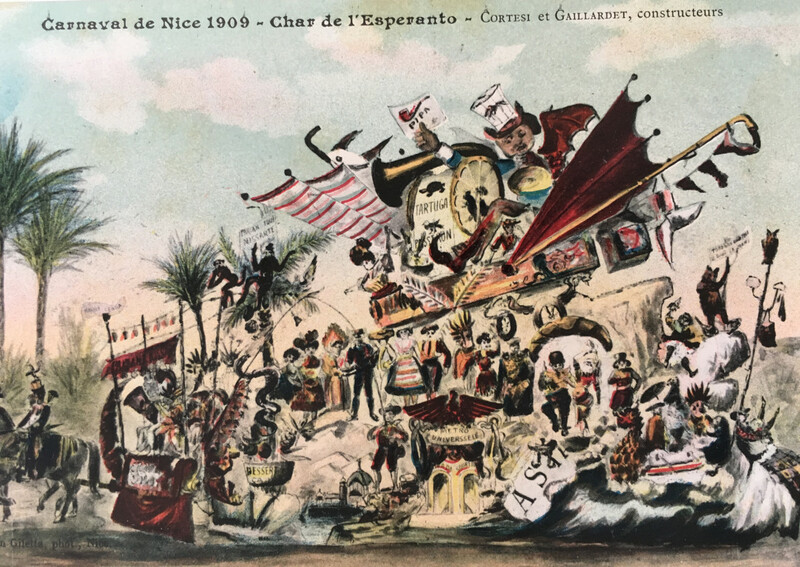 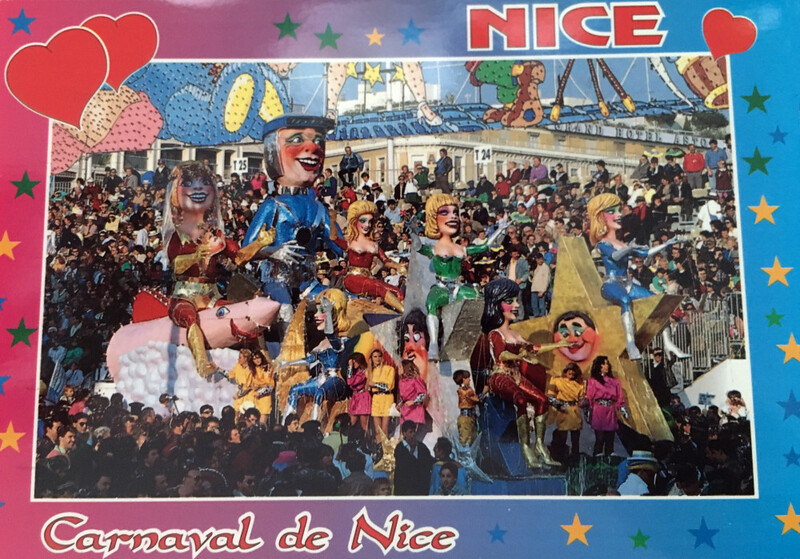 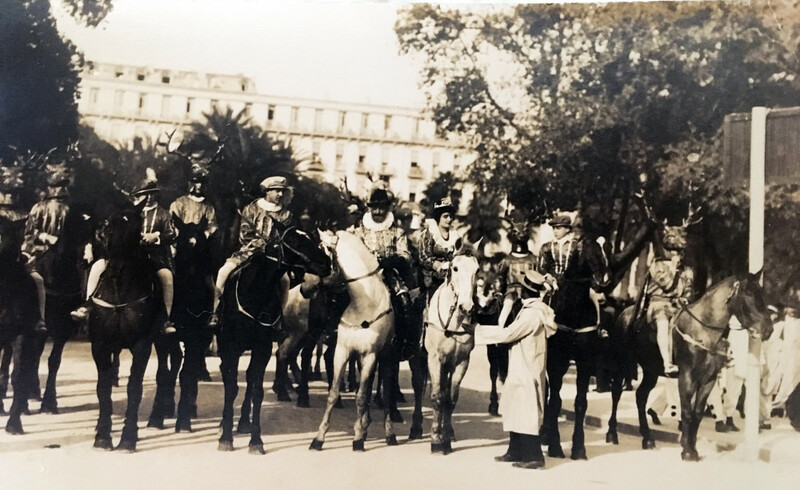 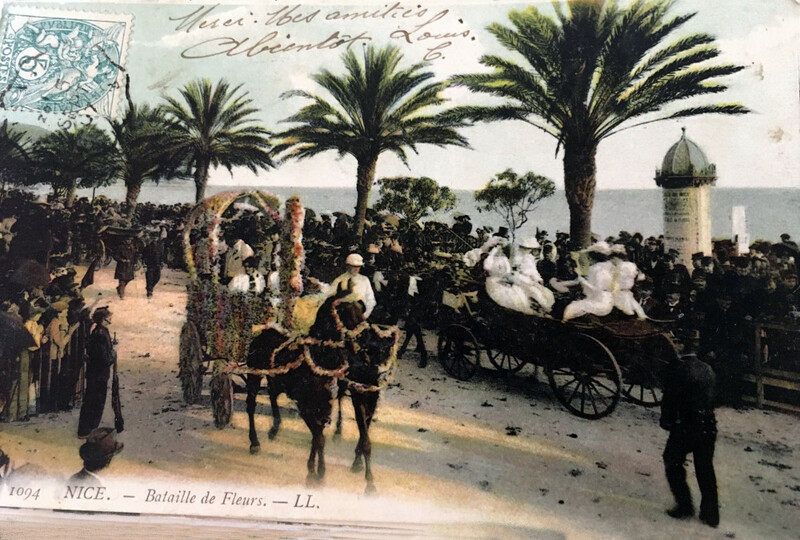 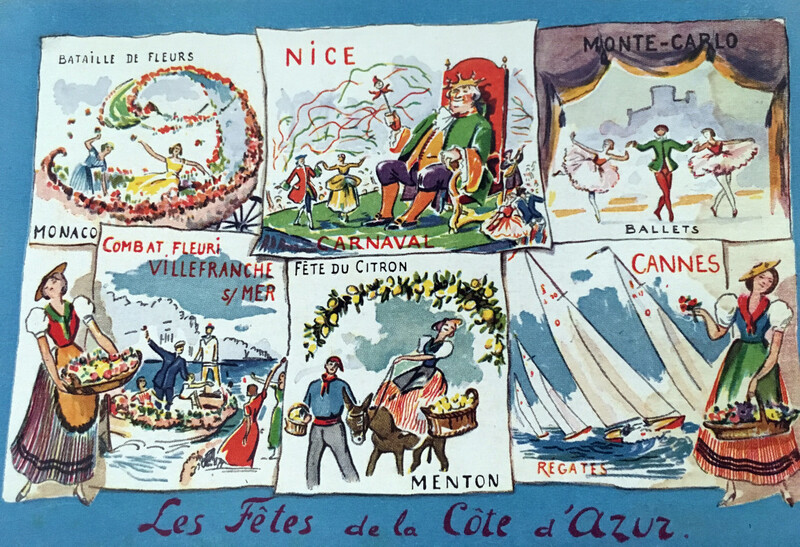 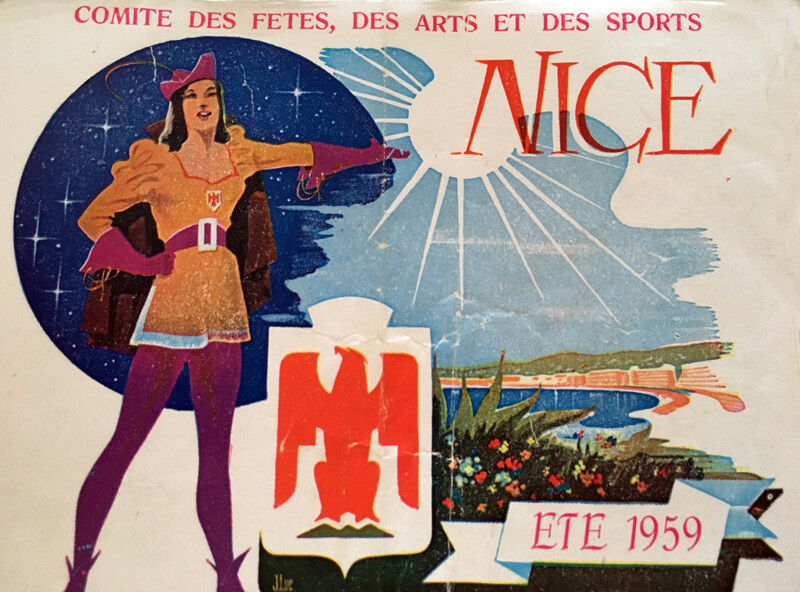 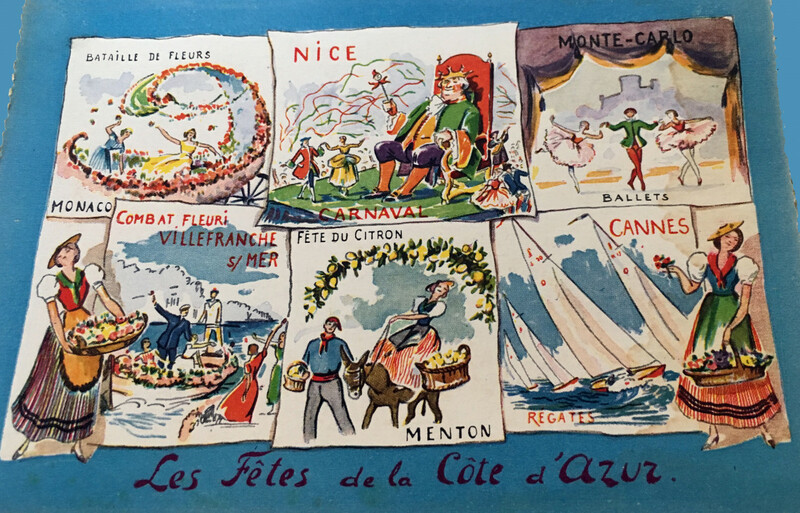 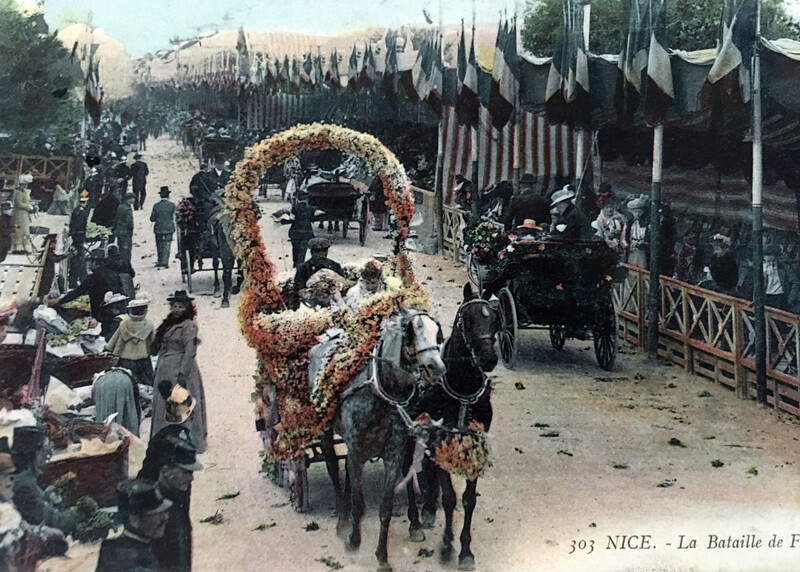 In 1873, Andriot Saetone of Nice took the initiative of founding the "Committee of Festivities", which, under the patronage of the municipality, was responsible for organizing and extending the festivities. Parades of floats, paying tribunes, a structured scenario ... appeared. 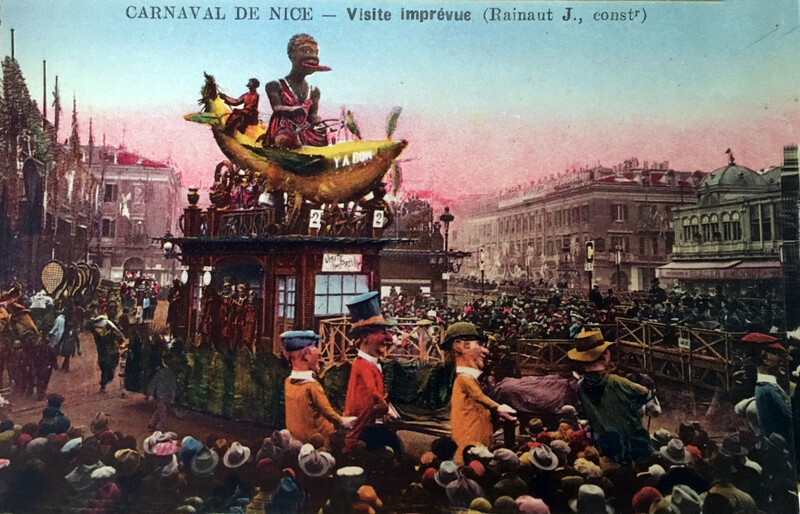 Thus on February 23, 1873, Carnival 1st entered the city. 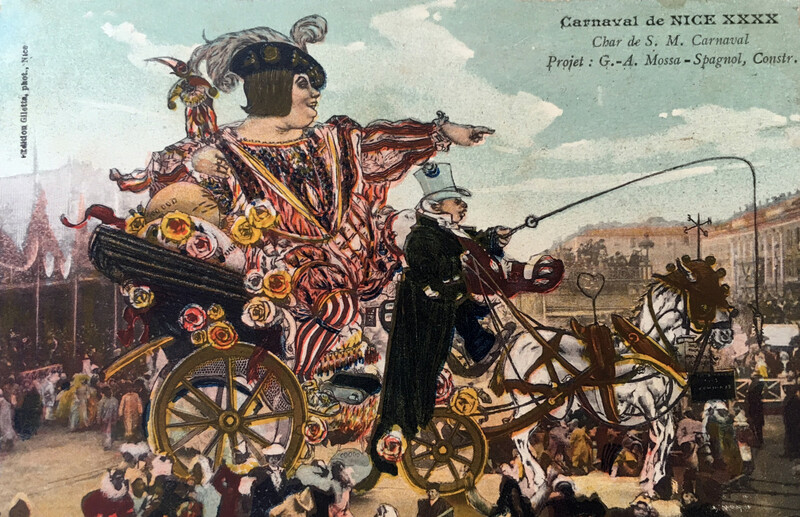 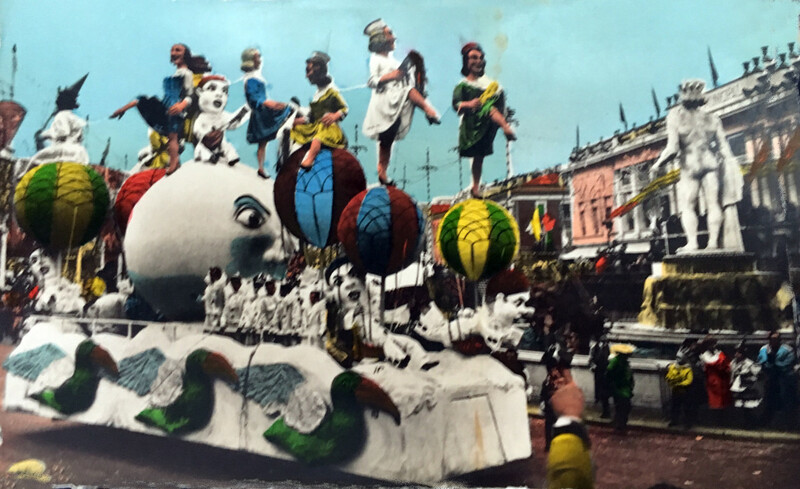 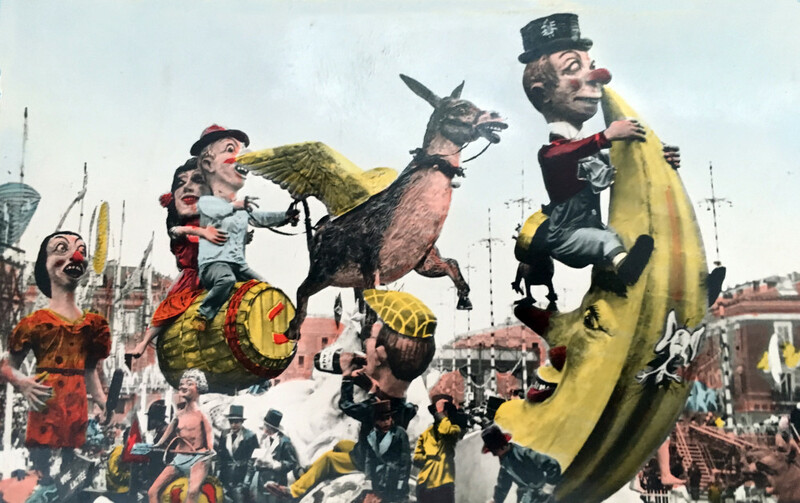 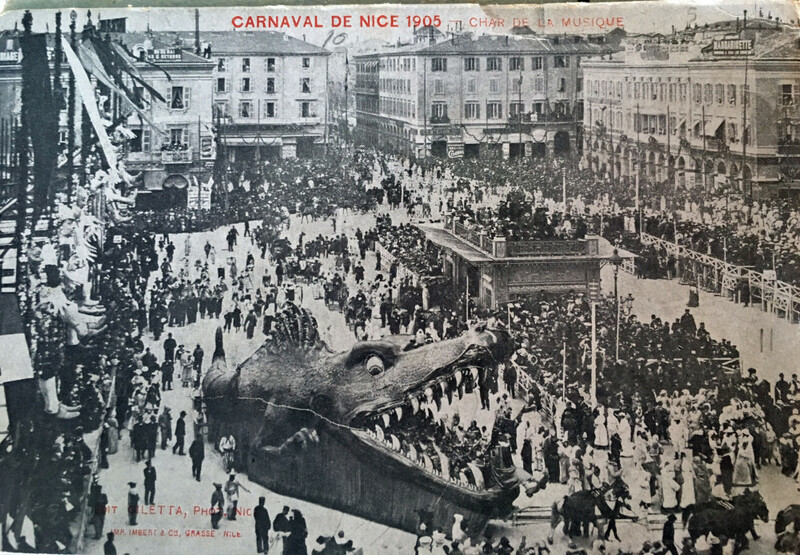 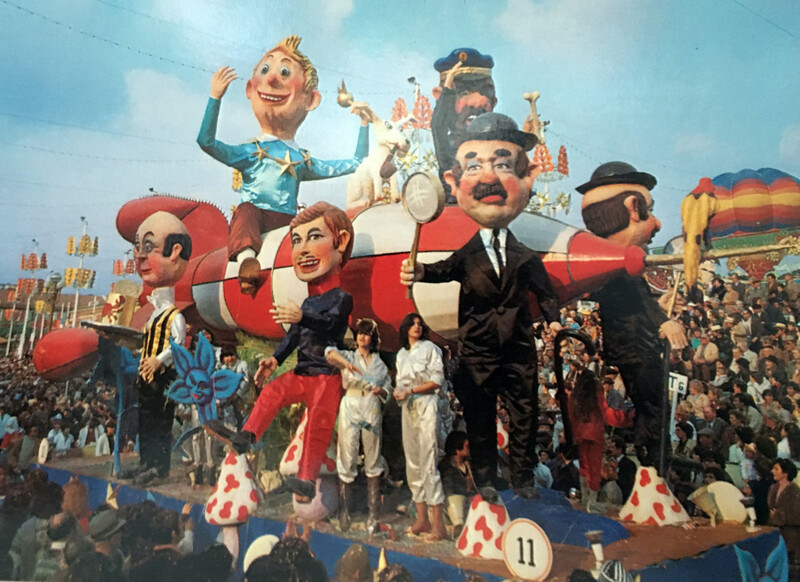 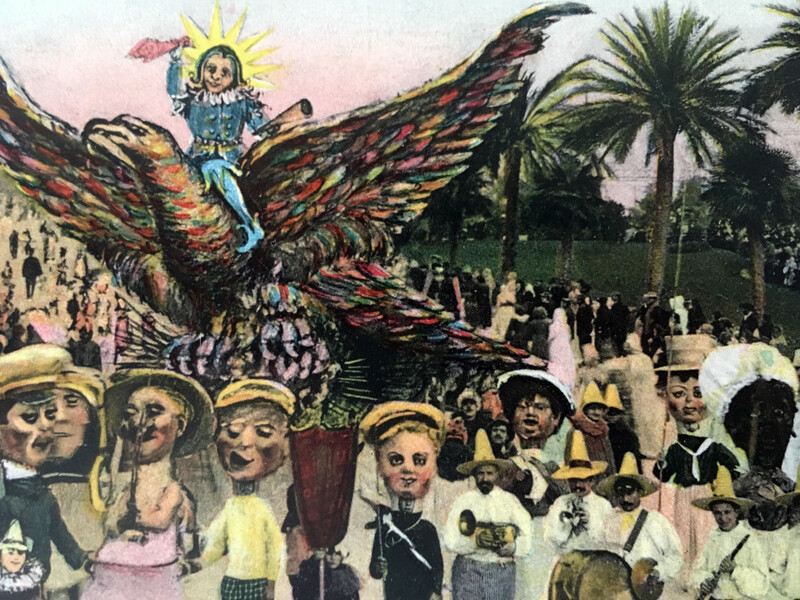 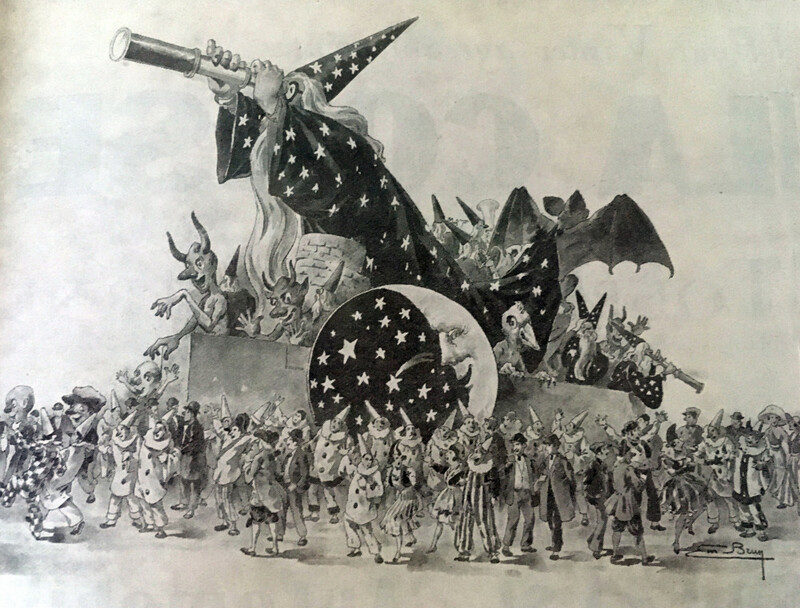 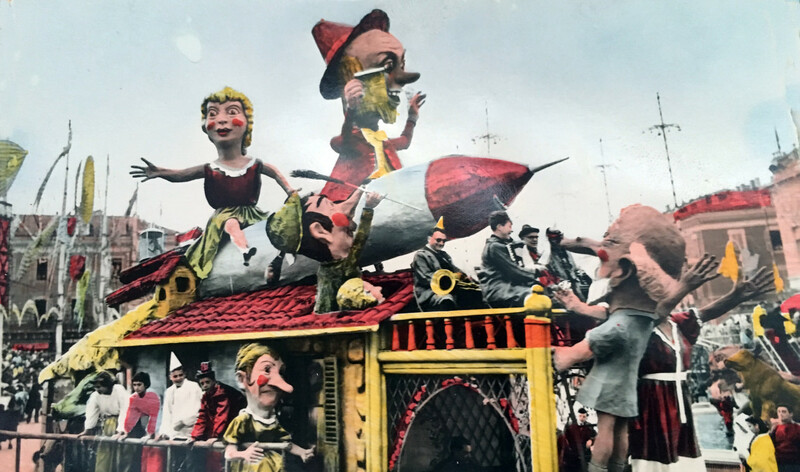 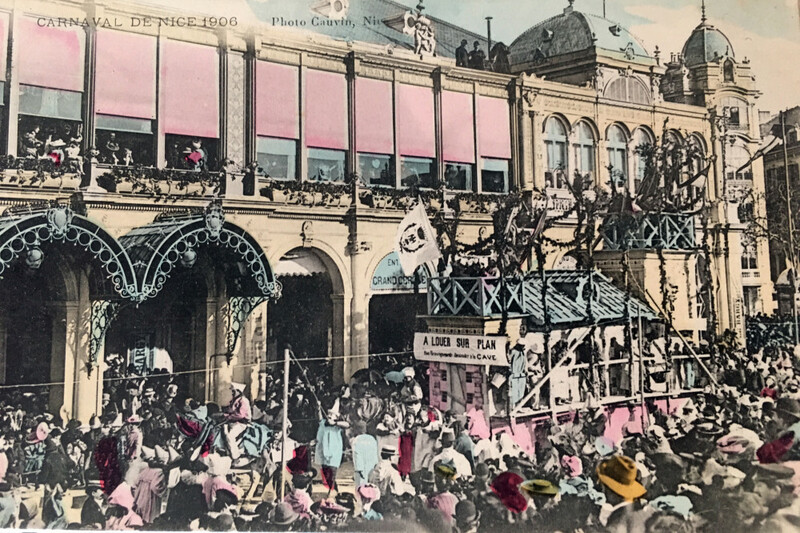 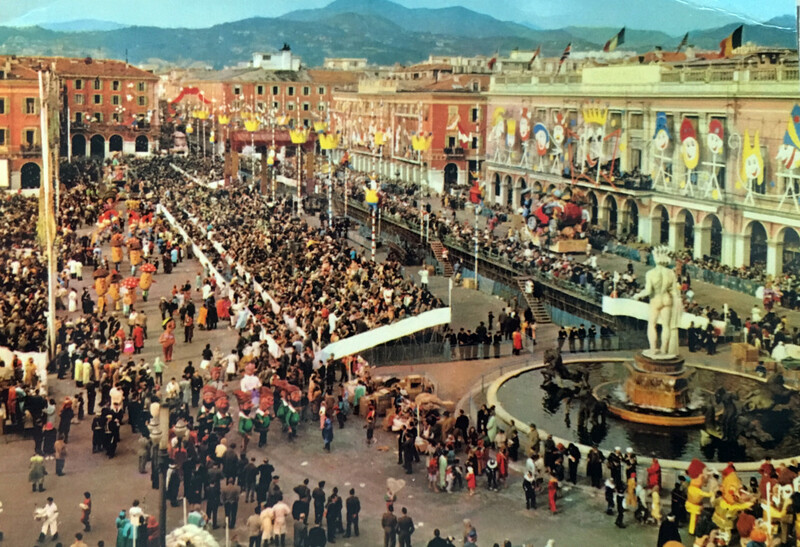 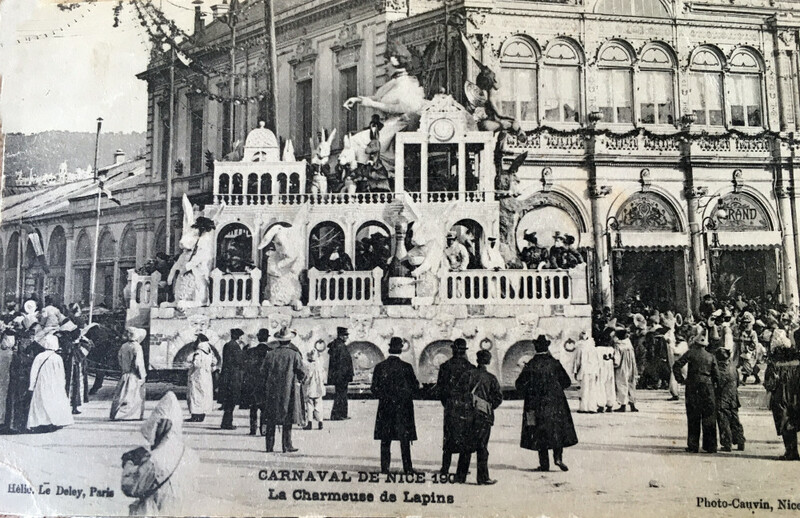 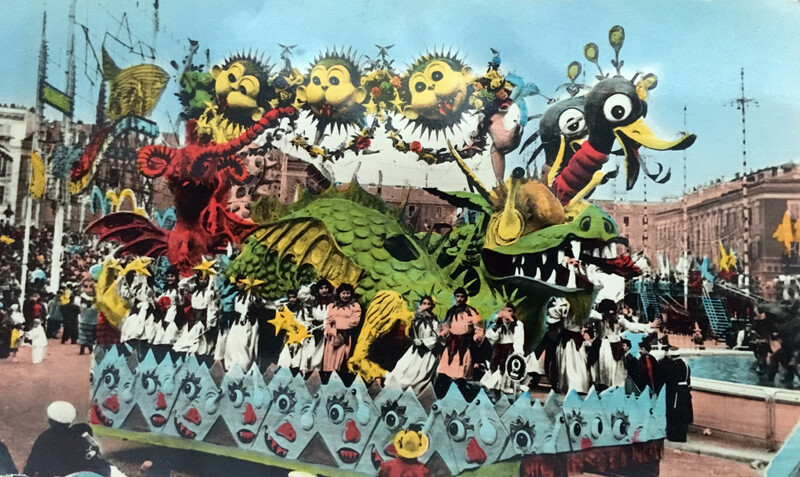 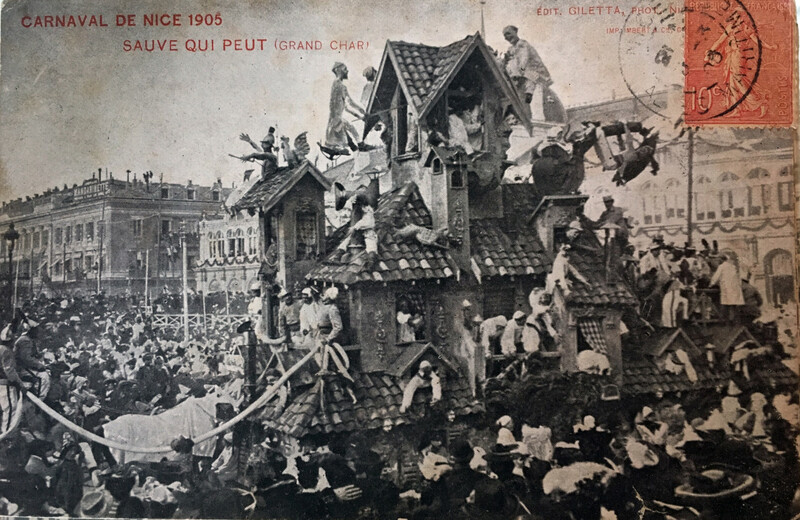 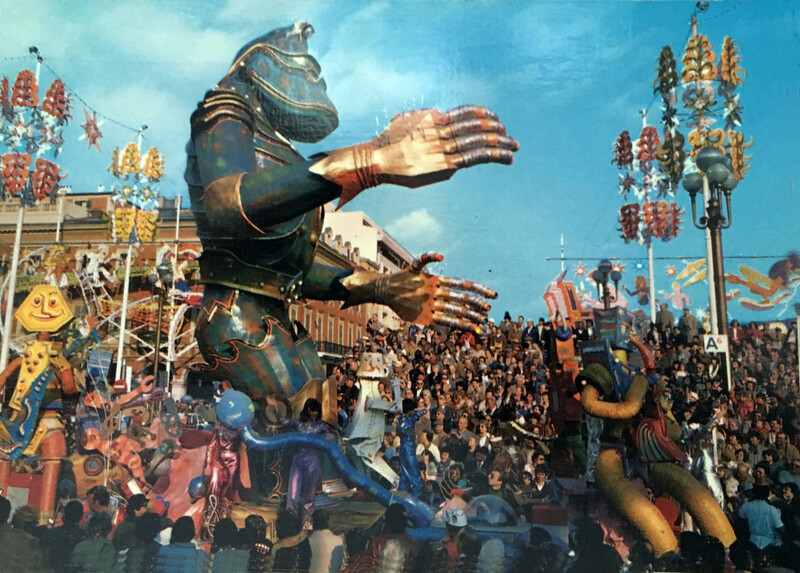 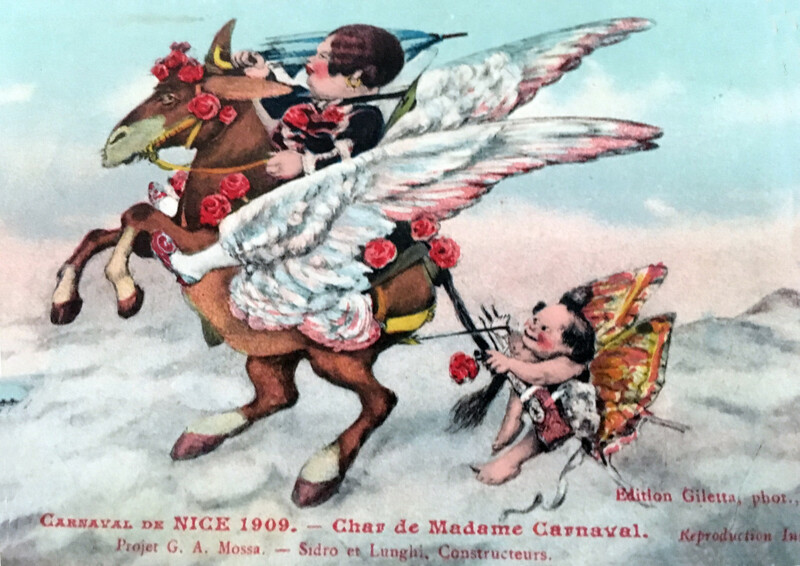 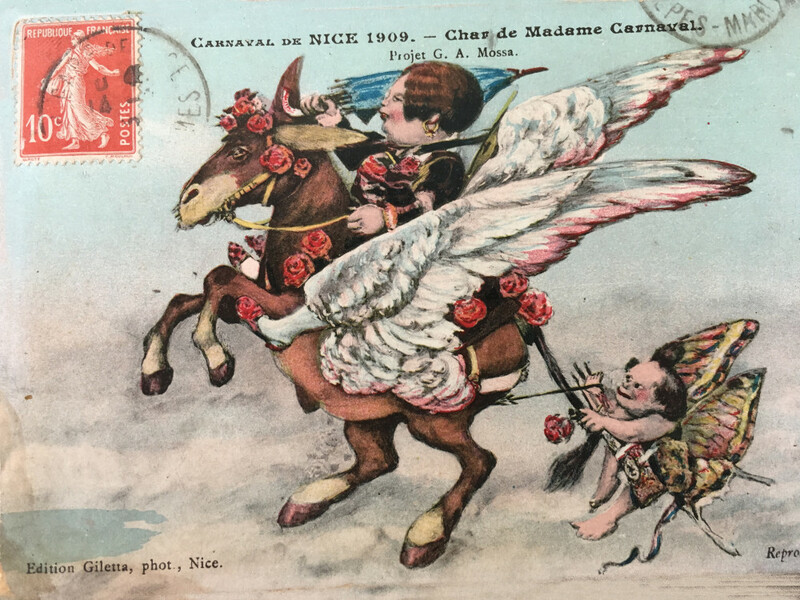 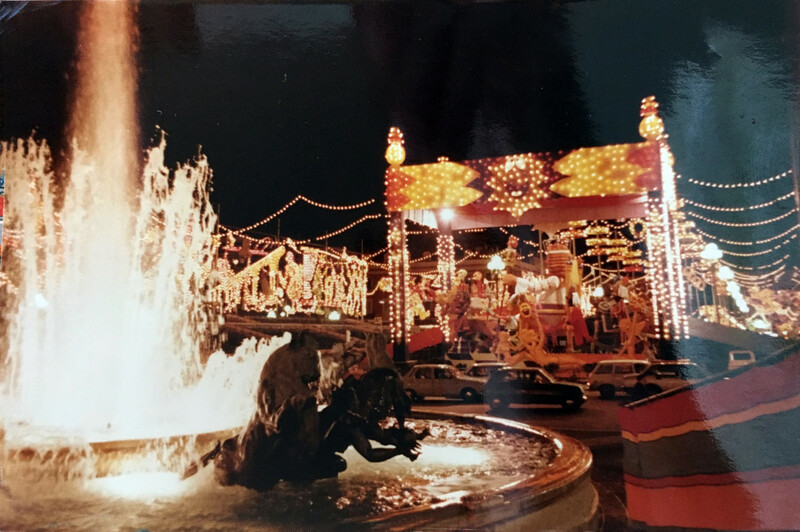 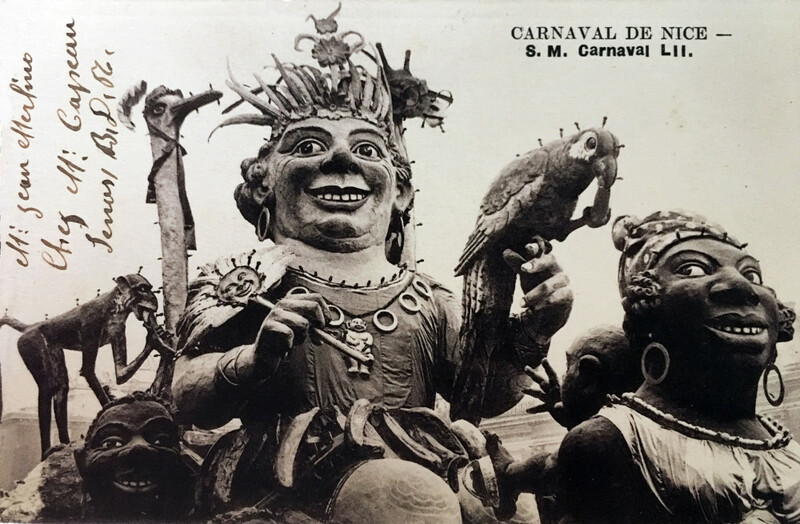 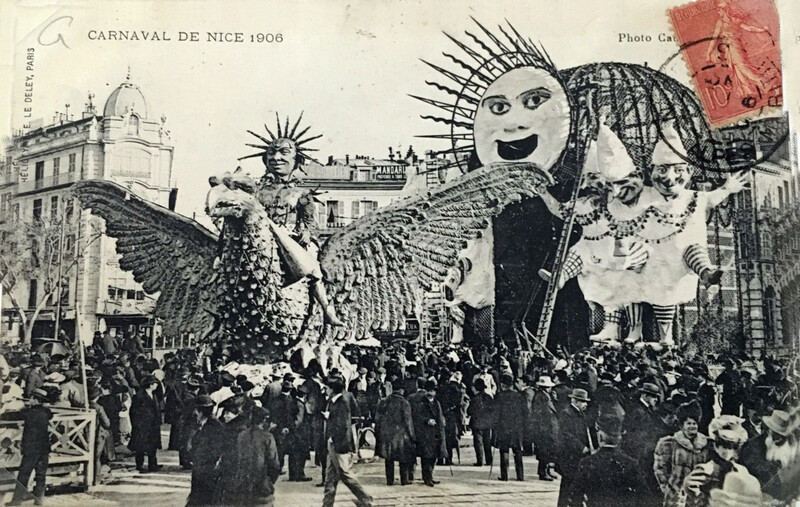 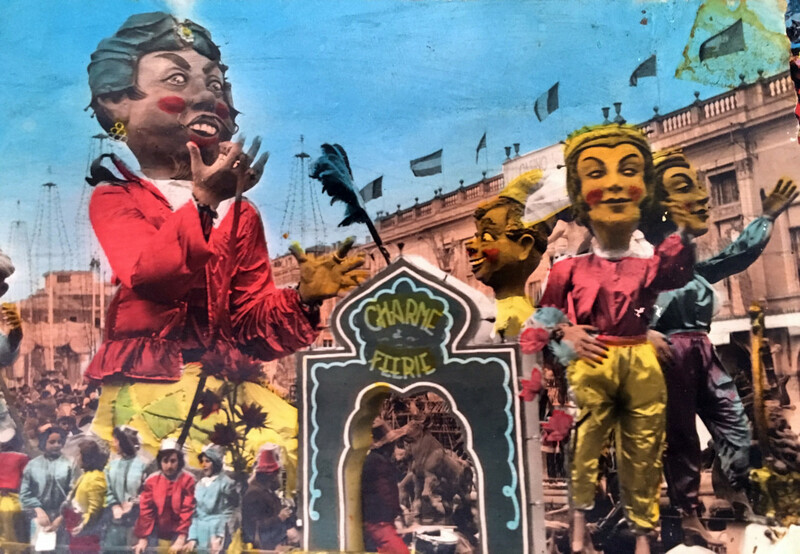 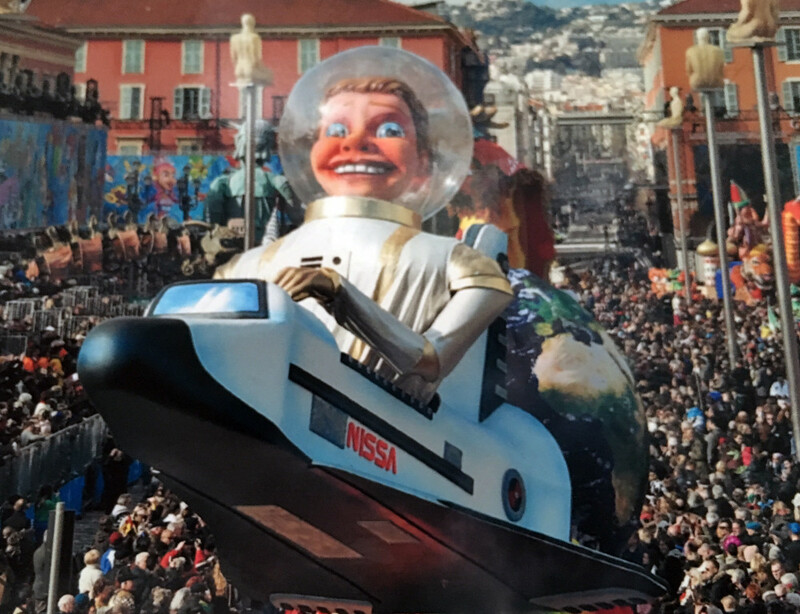 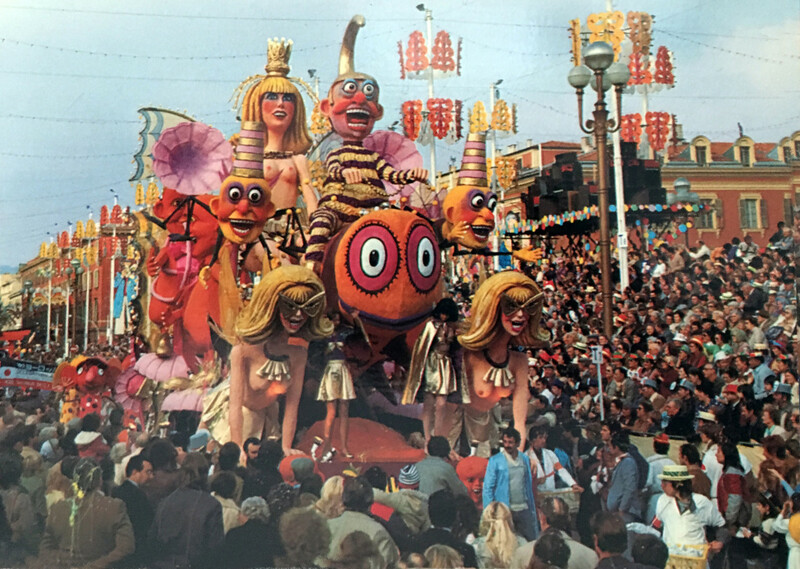 The modern Carnival was born, to which Alexis Mossa and his son Gustave Adolf brought, until 1971, an astonishing particularity and a grotesque and fabulous relevance, creating the models for the most spectacular floats to parade in Nice. 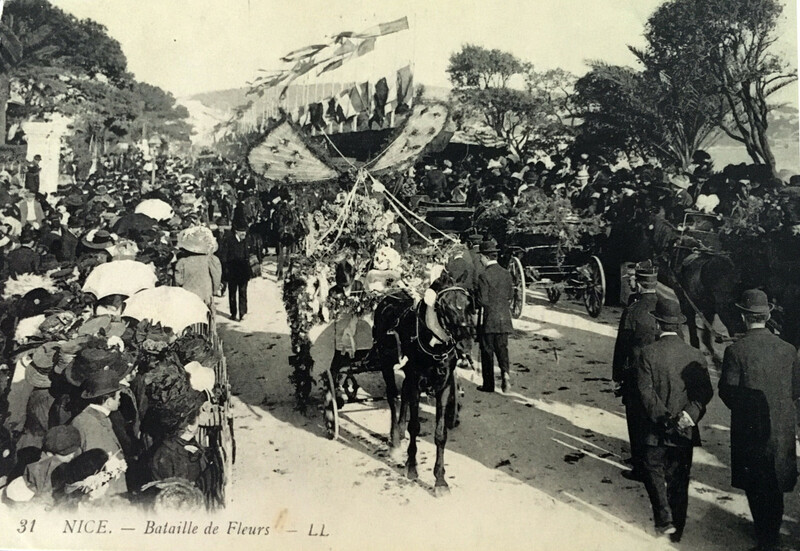 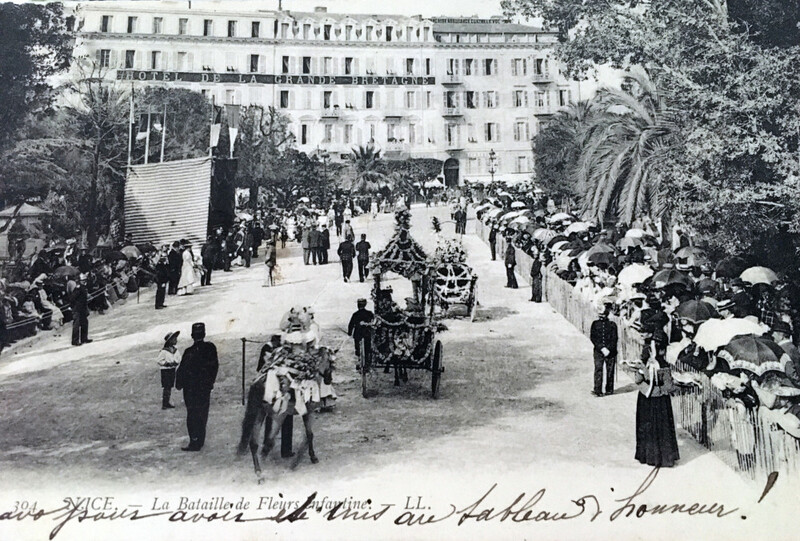 On February 14, 1882, His Majesty "Triboulet" made a triumphant entry into the city: the modest straw and rag puppet, formerly a motionless spectator on the square of the prefecture, participated for the first time in the procession, enthroned on the "Char Royal" identical to today. 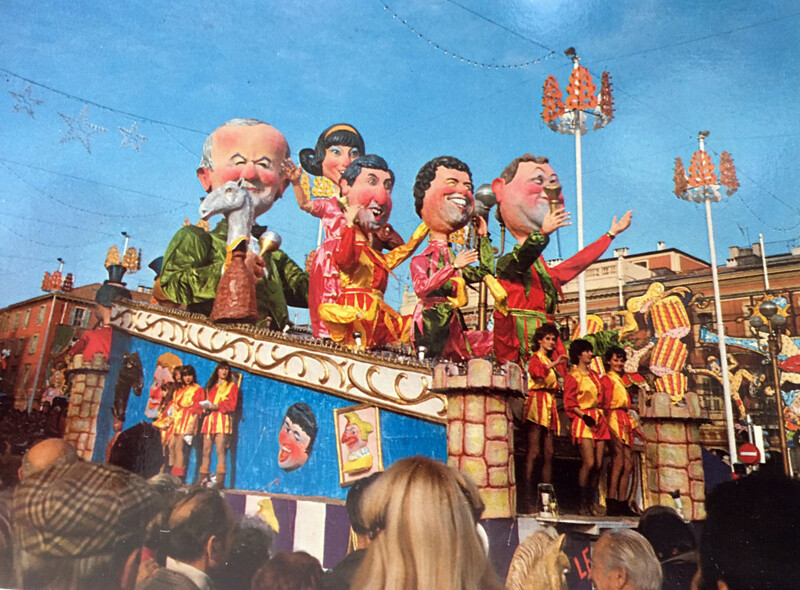 The processions took place in the heart of the city according to a dozen different routes and as soon as the entertainment ended, the party was extended in the districts around the city; small floats created for the occasion became the symbols of festivities more localized yet. 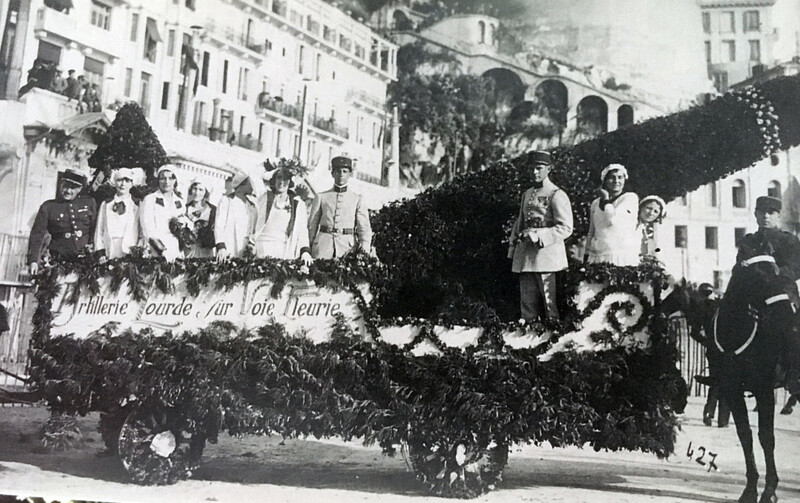 The first and second world wars prevented Carnival from reigning for several years. 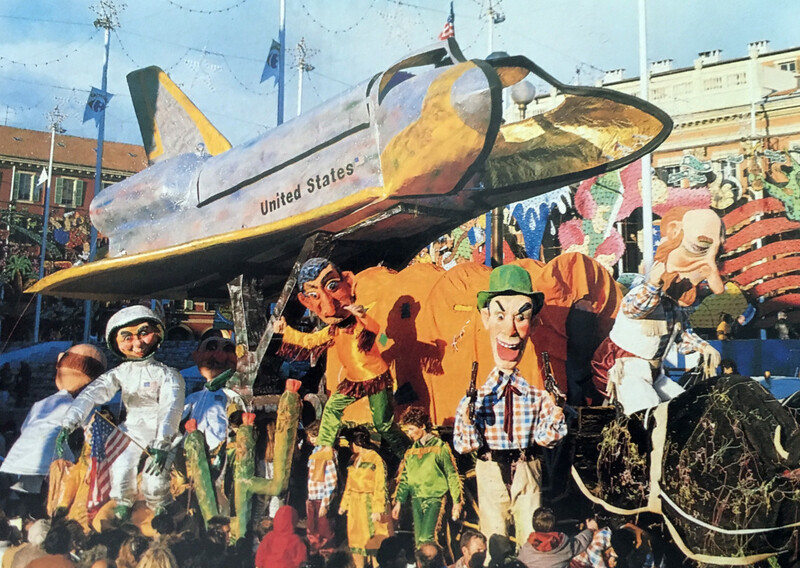 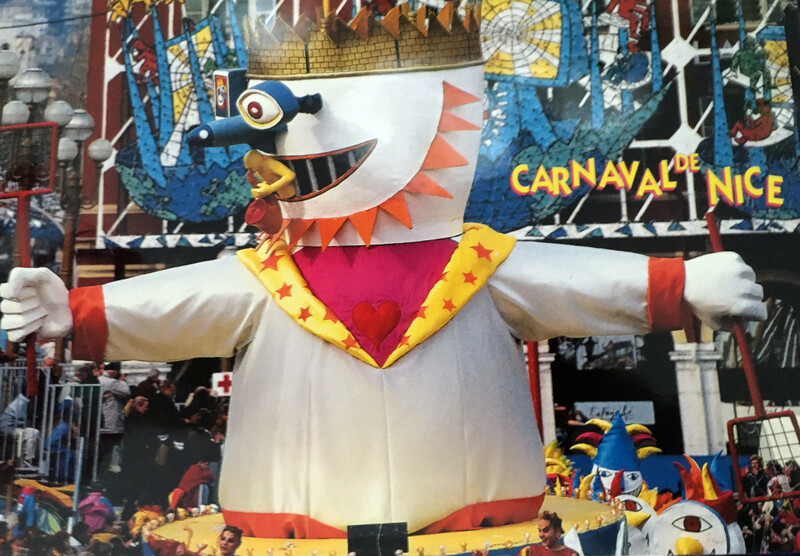 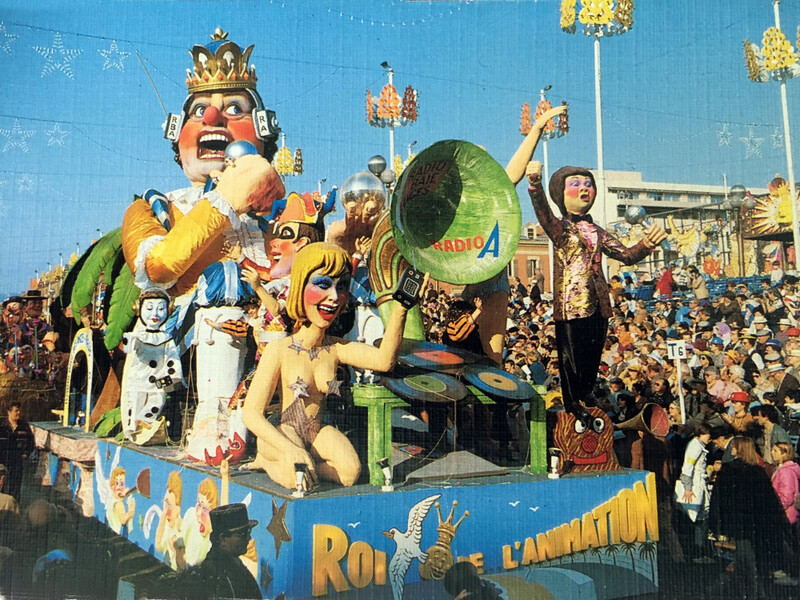 In 1991, Carnival was to be "King of the Fools", but the Gulf War forced it to give up again.